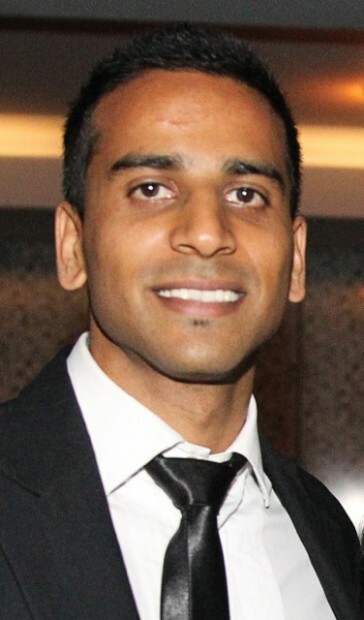 Mahendra Naidoo from Auckland used his 2014 Fulbright Science and Innovation Graduate Award to complete a Master of Public Health degree in Health Policy and Global Health, specialising in innovative models of care in the management of non-communicable disease, at Johns Hopkins University in Baltimore, Maryland. He then did a year of post academic training as a Visiting Fellow at the National Cancer Institute in Washington, DC. Mahendra graduated with an MBChB from the University of Otago in 2007. Why did you choose Johns Hopkins University? I chose Johns Hopkins due to its reputation as the mecca of public health – the oldest and largest public health school in the world. I wanted to learn not just the basics of public health, but also the kind of reach and force that such an institution is capable of at the highest levels. This was the start of a soul searching journey that would change my life significantly. Tell us about what you specialised in for your Masters. I went to the US with the above intention to focus on non-communicable disease models but adjusted course to re-focus generally on health systems in low and middle income countries. By learning about issues and solutions in low and middle income countries (across health and relevant social determinants) I established a newly formed dream to, in the long term, reverse innovate health system models of care to high income countries – therefore being part of a team that contributes to all levels of health, regardless of development status. My Masters topic was less relevant but involved using innovative alcohol sensing technology to reduce the incidence of drunk driving. My post academic training at the National Cancer Institute of the NIH focused on developing, reviewing and forging partnerships towards new research grants(cancer and non-communicable disease focused) that improves health research capacity in low and middle income countries. How did you come to be interested in public health? After working for years as a doctor at the frontline, the ‘bigger picture’ started becoming of interest to me and I wanted to learn more about what can be done to improve health at the frontline by understanding issues and interventions at the systems levels. Working with public health physicians, my mentors Dr Dale Bramley (CEO of Waitemata District Health Board and Harkness Fellow) and Dr Robyn Whittaker was inspiring and led my curiosity further to formalized study. I enjoy public health because one can be part of upstream changes that prevent ill-health and have wider impact to entire health populations. How did your undergraduate study in New Zealand prepare you for postgraduate study in the United States? In Medical School at Otago University, I had sufficient training in most public health sections, including epidemiology, ethics and biostatistics to use as a basis for further development. I came to appreciate that my training was well balanced and up to world standard. What was the most challenging thing about your studies in the United States? Focusing on acquiring new skills that could be translated to my career downstream was the greatest challenge. This was challenging because of the infinite plethora of diverse stimulating areas that makes it easy to dilute one’s learning. The balance between exposure to ‘everything’ against acquiring tangible skills was always a constant challenge. What was the most enjoyable thing about your studies in the United States? Being immersed not just in the US culture but international cultures that swarmed from around the world in my classroom was easily the highlight. I enjoyed this so much that my classmates formed a wonderful group to share our knowledge and culture with local Baltimore kids. I enjoyed the US university teaching and grading, which was very standardized and structured to allow consistent work across the program – avoiding those late and ‘all nighters’ that I had done previously in undergraduate years! By the time graduation rolled around I really think I was much better placed in my understanding of the Public and Global Health Landscape. Outside the classroom, what did you like about living in Baltimore and what was your biggest learning curve? I enjoyed living near the harbour with an easy walk to university and being able to live affordably on my budget. Baltimore is a diverse city to live in with close proximity to other excellent East Coast cities (NYC, Washington DC, Philadelphia). My greatest learning curve came during the riots of 2015 in Baltimore, where in the lead up and thereafter I realized there were incredible social inequity issues in the city’s own backyard, however I learned the power of the human spirit was also incredibly strong as a force for change. 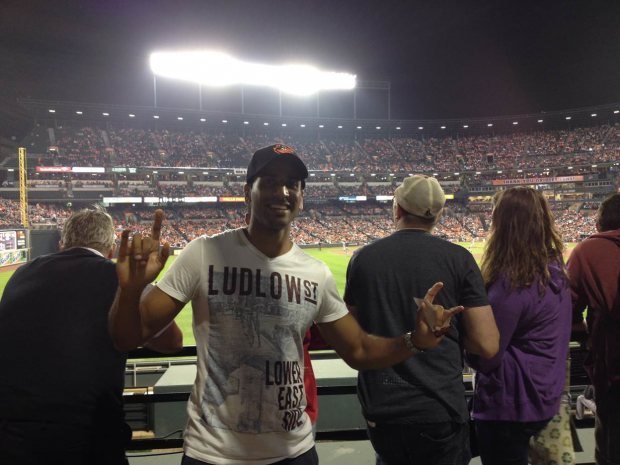 Baltimore is a wonderful city and my experience was total testament against any external misconceptions of the city. What did you miss the most about home during your exchange? I missed my family, friends, and the beaches here in New Zealand. I came to really appreciate how beautiful New Zealand is. Even though we are a much smaller country far away from most of the world, we have achieved and continue to develop very high standards of living. Please share some memorable moments of experiencing American life on your Fulbright exchange. 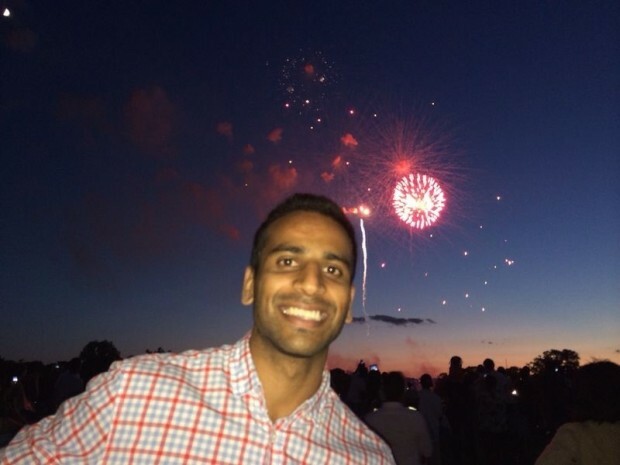 I was fortunate to enjoy a classic 4th of July (American Independence Day) Celebration in Washington DC with an amazing fireworks celebrations in the heart of the city. I also witnessed the Blue Angel fighter jets give off an aerial display in Baltimore for the celebration of the American flag’s (Star Spangled Banner) 200 year anniversary. I had several classic American family Thanksgivings dinners and Christmas celebrations. However, by far my most enjoyable experience was experiencing my first ever Halloween as an adult – the parties were fantastic! Professionally other moments that stood out including meeting Nobel Prize winner Kailash Satyarthi, attending a meeting at the White House and watching Helen Clark discuss her progress on the UNDP prior to interviewing for the United Nations top job. Have you connected with many other New Zealanders while you have been the US? Absolutely – New Zealanders living in the US are rare but wow do they stand out! Ironically I ended up living with a NZ woman and her husband in Baltimore, a phenomenal living opportunity that I don’t think would have happened without the NZ heart strings (I was spoiled!). While living in DC, I often connected with the NZ Embassy including events highlighting many New Zealanders achievements and partnerships. During the Rugby World Cup, I connected with New Zealanders to watch many of the games and was there celebrating amongst fellow Kiwis when we won! Have you connected with many other Fulbrighters while you have been in the US? The Fulbright Program allows students to participate in Enrichment Programs. I participated in the Global Health program in Lexington, Kentucky and met over 150 fellow Fulbrighters from around the world. 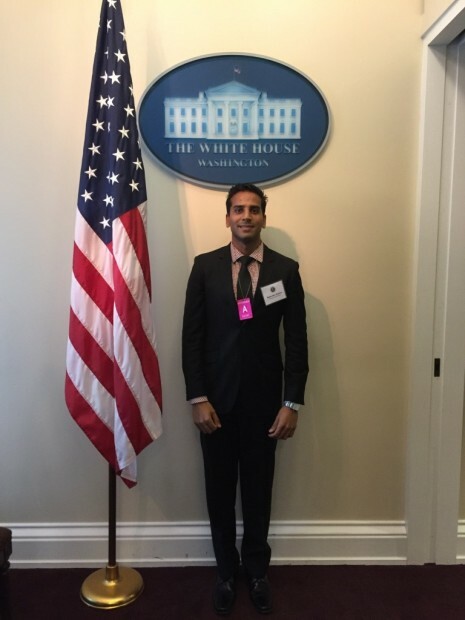 While living in Baltimore and DC, I attended numerous Fulbright hosted events. I was humbled by meeting Fulbright alumni from generations above me, which made it clear to me the ‘life changing’ experience of a Fulbright award has continued in its strength and reach between generations. What is coming up next for you? What are your plans? My time in the US, including the National Cancer Institute has re-inspired me to return to clinical medicine and I have recently applied for Medical Oncology here in New Zealand. I hope to spend the next significant phase of my career focusing on Cancer Prevention, Diagnosis, Treatment and innovative models of care. I may return to the US for a clinical fellowship and will continue to grow the relationships and networks I have formed, to ultimately reach my dream of reverse innovation based here in Aotearoa – the land of the long white cloud! International education is important because it is through learning from others internationally while being immersed in their problems, that we realize we are more similar than we are different, and can be part of one greater force for universal solutions. The Fulbright Science & Innovation Graduate Awards are for promising New Zealand graduate students to undertake postgraduate study or research at US institutions in fields targeted to support growth and innovation in New Zealand. Applications close 1 August annually.